PC Joinery pride ourselves on providing a great service to all our customers at all times, we continually strive to be helpful, informative and professional we have long standing relationships with a vast range of customers who continue to call on us. we have many happy client recommendations and will be happy to go through some case studies of previous jobs with before, during and after photos. Understanding that every home is exactly that a home, we will use dust sheets, keep the site clean and generally look after the work with utmost respect, communicating how the work is going when it will be completed and if anything is causing a delay make sure you know asap. Solution Providers Throughout the years we can say we've excelled at providing the solution to every problem our customers bring to us. we pride ourselves on bringing the years of experience to every situation and we're sure you'll be satisfied with your finished work, we have over 28 years experiance at hand. We manufacture Accoya bespoke wooden windows and doors of all types and are on the approved contractors list for English Heritage. 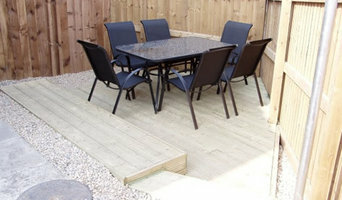 BD Joinery and Maintenance offers an affordable high standard service covering all aspects of Joinery and Maintenance. Through years of experience and knowledge I'm able to offer a variety of services throughout the home whilst specializing in my main trade, Joinery. As any tradesman will tell you, word of mouth is by far the best way to generate and retain business; so a happy customer is my number one goal! Jonny, Jules and Paul are all passionate about timber and creating beautiful pieces that are both practical and easy on the eye. They each bring different experience to the design of a piece of furniture and they will use their experience to work with the client to meet their design remit. Balmoral Joinery Ltd Established over 25 years, we are a joinery business in Newcastle serving commercial and private clients in Durham, Gateshead, Hartlepool, Middlesbrough, Hebburn, Washington, Sunderland, North Shields and of course Newcastle itself. 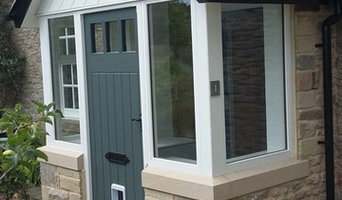 Our Joinery services include: Doors, windows, conservatories, porches, staircases and many more. Discuss your joinery requirements with the joinery business in Newcastle that can meet all your needs, perfectly. 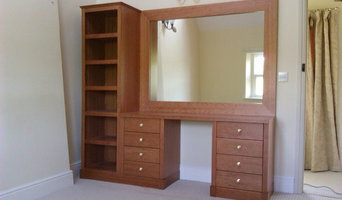 Claremont Joinery is a family run business, originally established in 1953. When deciding whether to employ a joiner or carpenter in Newcastle upon Tyne, Tyne & Wear, it is best to pick your professional according to their experience on projects similar to your own. For example, installing bespoke joinery such as a staircase involves significant structural work and you might want to work with a carpenter in Newcastle upon Tyne, Tyne & Wear with considerable experience in bespoke staircase joinery. You will often find you need to employ both a carpenter and joiner on a single project, and some firms will offer both skillsets which can simplify your overall hiring process. Where can I find a good Newcastle upon Tyne, Tyne & Wear carpenter or joiner? 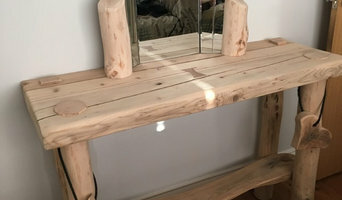 On Houzz there are many professional Newcastle upon Tyne, Tyne & Wear carpenters and joiners that specialise in providing a full carpentry service or bespoke joinery in Newcastle upon Tyne, Tyne & Wear, whether dealing with fitted or freestanding, traditional or contemporary furniture. Simply search for a joiner or carpenter in Newcastle upon Tyne, Tyne & Wear in the Find Pros category, then add images of designs that you like to an Ideabook and contact those on your shortlist. If you need reassurance beyond photos of their work and reviews of previous clients, then you might check to see if the carpenter or joiner is a member of The Institute of Carpenters (IOC), The Guild of Master Craftsmen, the British Woodworking Federation (BWF) or the Federation of Master Builders (FMB). Each asks its members to meet a certain level of expertise and abide by a code of conduct. Have a face-to-face consultation – basic brief and image references in hand – see which joiner or carpenter in Newcastle upon Tyne, Tyne & Wear is the easiest to get along with and who best understands what you’re trying to achieve. How long have you been a joiner or carpenter in Newcastle upon Tyne, Tyne & Wear? 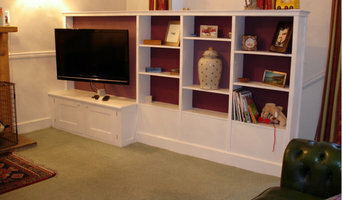 Do you offer bespoke joinery in Newcastle upon Tyne, Tyne & Wear as well as standard carpentry? Find a carpenter or joiner on Houzz. Narrow your search in the Professionals section of the website to Newcastle upon Tyne, Tyne & Wear joiner and carpenter professionals. You can also look through photos of woodwork and bespoke joinery in Newcastle upon Tyne, Tyne & Wear by style to find a design you like, then contact the joiner or carpenter in Newcastle upon Tyne, Tyne & Wear that worked on it.